Recently, we explored Amazon’s high-tech and efficient warehouse model, which included the use of barcode scanners and technology. Amazon uses barcoding technology for its precision and accuracy with inventory tracking and management. Fortunately for the SMBs, barcoding and mobile technology is actually an affordable and cost-effective option for inventory management. In addition to being affordable, barcoding and mobile technology is an excellent tool for inventory tracking. Before we begin, allow me to introduce myself. My name is Dakota May, I’m the Sales Manager for Acctivate Inventory Software. For the last eight years, I’ve worked closely with our clients to help better their understanding of the need and value for mobile warehouse management and barcoding tracking software. I’d like to help you expand your knowledge as well. Barcoding hardware is comprised of the physical units for barcoding, such as barcode scanners, barcode printers, etc. The software program that reads, processes, and stores the barcoding and inventory information is the barcoding software. To learn about how barcoding hardware and barcoding software work together, check out one of our barcoding software pages here. For the purpose of this article, let’s refer to barcoding software and barcoding hardware collectively as a barcode system. Because of the connectivity a barcode system provides, real-time data can be viewed via a handheld barcode device and a desktop or laptop. When you have a barcode system in place, there are a variety of ways to help polish and smooth inventory-related processes. One of the processes that benefit from the use of a barcode system is inventory tracking. Let’s explore three valuable ways you can begin using a barcode system to keep track of inventory. 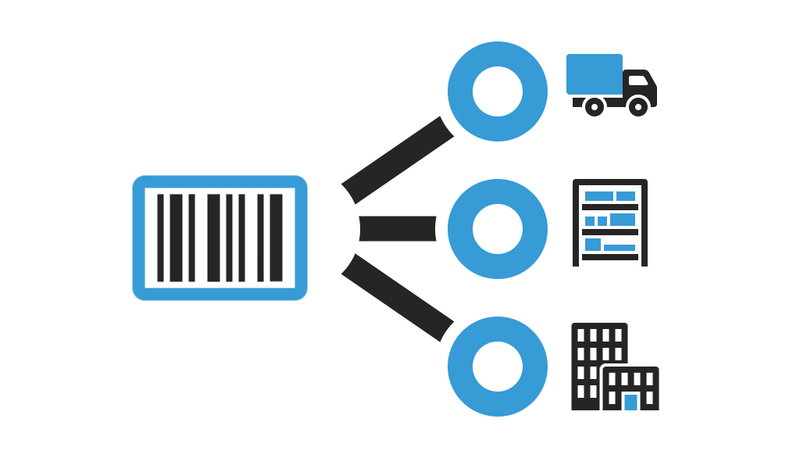 Using a barcode system, your business can track the workflow statuses of orders. For instance, examples of sales order workflow status may include picked, ready to be picked, shipped, etc. In addition to preset sales order workflow status categories, Acctivate allows you to add/modify workflow status in its Configuration Manager. At each stage of order fulfillment, a sales document (i.e. pick ticket, pack list, sales order) can be scanned to update the status in the barcode system’s database. A similar process is also available to manage light manufacturing or inventory assemblies with a barcode system. This allows your business to track in real-time each item’s progress during each stage of the manufacturing process. A truly neat utility of a barcode system is tracking location of products. With a comprehensive inventory and barcode system in place, you can designate specific barcodes to represent a location. Example of locations may include which warehouse(s) a product is located in, aisle number, specific bin location, etc. Additionally, you can keep track of the location of shipments in transit using a barcode system. Using the barcode, the system will automatically update the product’s current status, availability, and location. Barcodes are an efficient measure for identifying inventory. Barcodes are a virtually error-free way to assign product information to a specific item, such as lot number, product ID, etc. Simply by scanning its barcode, a product can be identified. When the product is brought up in the barcode system, the connected inventory information will be provided. Barcoding technology is capable of a variety of tasks, features, and functions. To learn more about what barcoding technology and systems are capable of, check out our barcoding and mobile page. Dakota May is the Sales Manager for Acctivate Inventory Software. For over 8 years, Dakota has worked closely with thousands of small businesses using QuickBooks and looking for more advanced inventory and order processing capabilities.